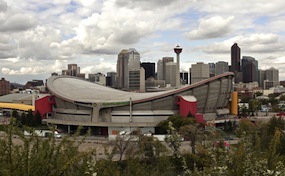 SaddledomeCalgary.com is not currently affiliated with any primary box office, supplier, or official website. We offer online access to a wide array and low prices for all secondary market events. Prices can fluctuate above and below face value as all inventory is listed to the current market. To purchase tickets for all Scotiabank Saddledome events you can follow the easy to navigate steps online or pick up your phone at anytime to speak with one of our operators.